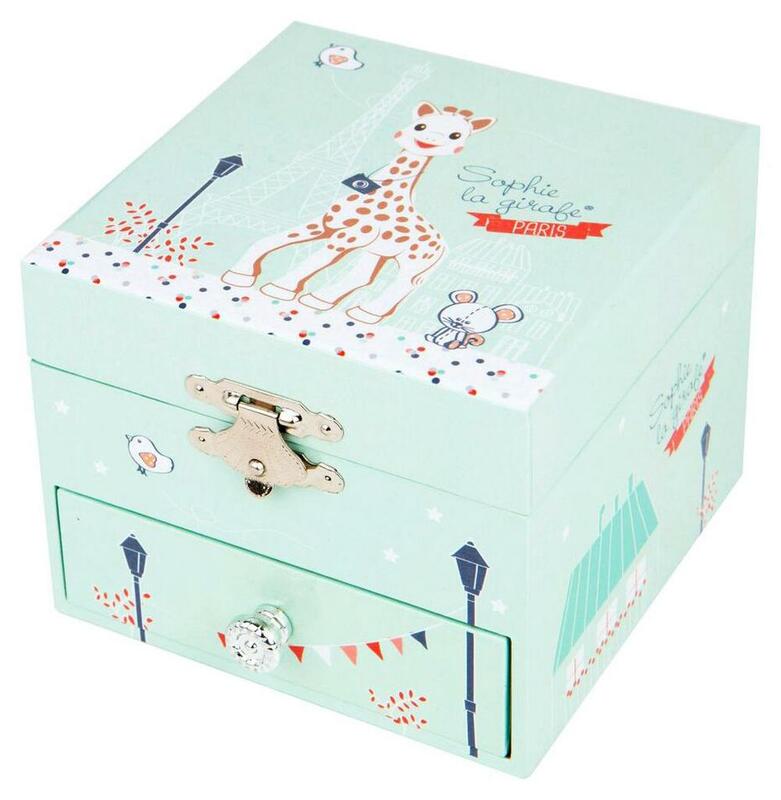 This delightful music box has a stylish, contemporary design, featuring Sophie the Giraffe and her friends as they go exploring around Paris, the City of Lights! The music is operated via a wind-up key on the back of the box, and is activated upon opening the box, and stopped by closing it again. The main interior space of the box is lined with soft felt for protecting jewelry or other items, and features a small oval mirror on the inside of the lid, as well as a lovely little Sophie the Giraffe on a spring which pops upright upon opening the box, and spins round and round to the sound of a soothing piece of music (La Valse d'Amelie). A small separate drawer at the bottom of the box, complete with drawer knob for easy access, provides further space for organizing items. Dimensions are 11cm x 11cm x 9cm.